Global soccer psychologist Dan Abrahams is back with a follow up to his groundbreaking, international bestseller Soccer Tough. In Soccer Tough 2: Advanced Psychology Techniques for Footballers Dan introduces soccer players to more cutting edge tools and techniques to help them develop the game of their dreams. Soccer Tough 2 is split into four sections – Practice, Prepare, Perform, and Progress and Dan’s goal is simple – to help players train better, prepare more thoroughly, perform with greater consistency and progress faster. Each section offers readers an assortment of development strategies and game philosophies that bring the psychology of soccer to life. They are techniques that have been proven on pitches and with players right across the world. Like the original Soccer Tough, this book has been designed to be readable, accessible, and no-nonsense. Every chapter is short, engaging and packed full of stories from some of the best men and women soccer players in the world today. Soccer Tough 2 has been written with one thing in mind… to make you the best footballer you can be. 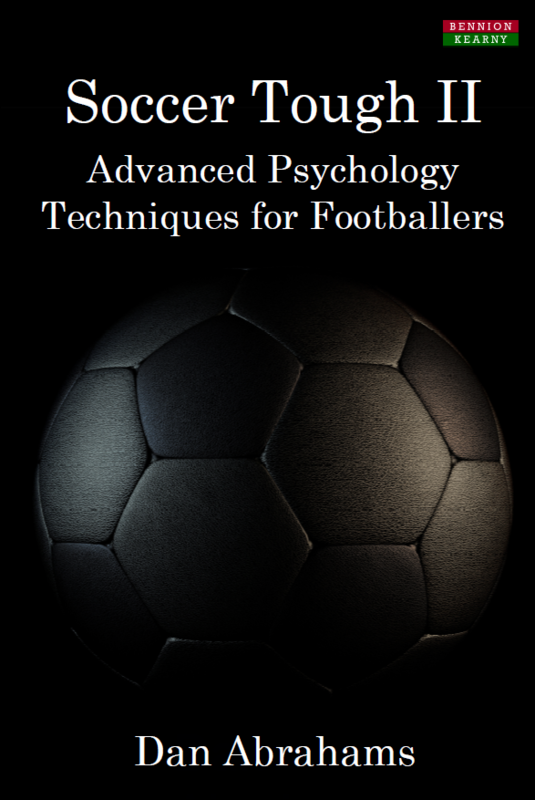 Book Categories: Dan Abrahams, Soccer, Soccer Coaching Books and Sport Psychology.